Based in Swindon Holly is a talented, well established make-up and hair artist with over 8 years experience in the make-up industry. She works mainly in Wiltshire, Oxfordshire and the Cotswold’s, however Holly is more than happy to travel to other parts of the country and internationally to meet client’s needs. Holly started out her make-up career after training for two years and gaining a BTEC in media make-up. Soon after she started assisting other artists to gain as much experience as she could. 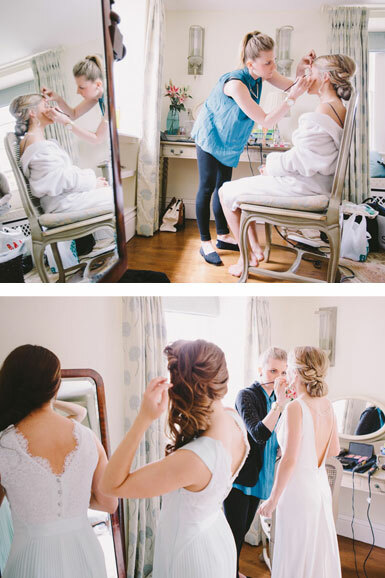 Holly now specialises in UK and destination bridal hair and make-up which is her passion. Due to a high demand for her services Holly has now expanded her business to create the Holly Andersen Pro Team. These pro team artists are likeminded, talented individuals who have been chosen by Holly and whose work is of the highest standard. Holly has also teamed up with two amazing colleagues to bring you a new and exciting business called Creative Head Workshops. They provide workshops for hair and make-up for all different skill levels as well as pamper parties, hen parties and much more! Holly is genuinely passionate about the make-up industry and loves any opportunity to be creative. Her work is always outstanding and she has the natural ability to understand client’s requirements to achieve the desired look.